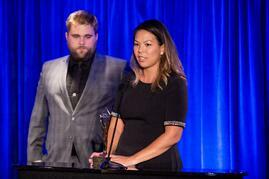 Winners in the 2018 Stevie® Awards for Great Employers, an international competition, were announced on Friday, September 21 during a gala event in New York City. The awards recognize the world’s best employers and the human resources professionals, teams, achievements and HR-related products and suppliers who help to create and drive great places to work. A complete list of Gold, Silver and Bronze Stevie Award winners by category is available at www.StevieAwards.com/HR. A diverse group of organizations and individuals around the world are among those recognized. The organization that won the Grand Stevie Award for Most Honored Organization of the Year is ej4 of St. Louis, Missouri USA with nine Gold, Silver and Bronze Stevie Award wins totaling 23 points. Organization of the Year goes to the organization with the most award points, with each Gold Stevie win counting for three points, each Silver Stevie win for two points, and each Bronze Stevie for one-and-a-half points. There was a tie for the Grand Award for the Highest-Rated Nomination of the Year, between the Gold Stevie-winning Employer of the Year nominations of Allianz Partners of Richmond, VA USA and New World Development Company of Hong Kong, so both of those nominations were honored with Grand Stevie trophies. Leading winners of Gold, Silver and Bronze Stevies include Deutsche Telekom Services Europe GmbH with three Gold, one Silver, and seven Bronze Stevie Awards in a variety of categories; Tata Consultancy Services of Mumbai, India and Toronto, Canada, which won five Gold, two Silver, and two Bronze Stevie Awards; and Turkcell of Istanbul, Turkey, winner of one Gold, one Silver, and 11 Bronze Stevies. More than 550 nominations from organizations in 21 nations were evaluated in this year’s competition. Winners were determined by the average scores of more than 50 professionals worldwide, acting as judges. Stevie Award winners in the 35 Employer of the Year categories were determined by a unique blending of the ratings of professionals and the votes of the general public. The awards are presented by the Stevie Awards, which organizes seven of the world’s leading business awards shows including the prestigious International Business Awards® and American Business Awards®. 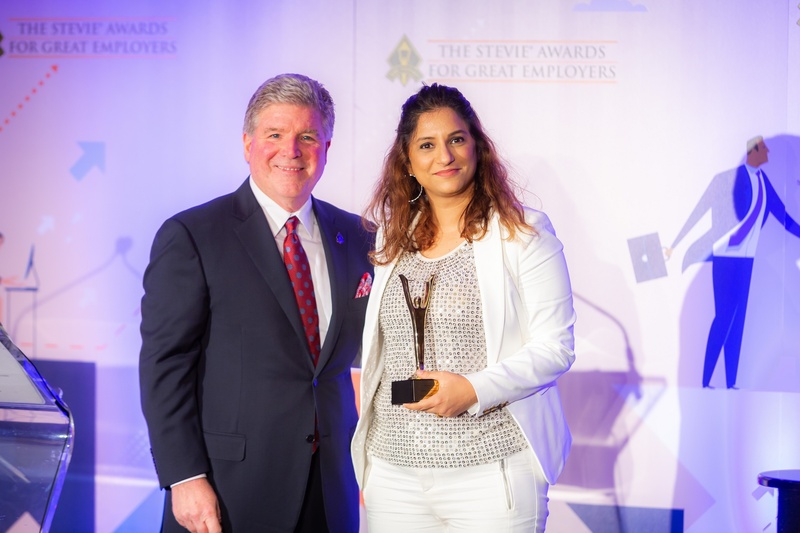 Entries for the 2019 Stevie Awards for Great Employers will open in March. The entry kit will be available then at www.StevieAwards.com/HR. Who’s Coming to the Stevie Awards for Great Employers on Friday? 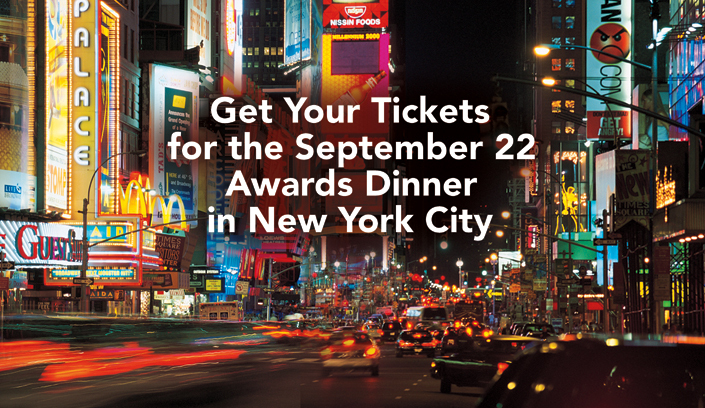 Winners in the 2018 Stevie® Awards for Great Employers, an international competition, will be announced on Friday, September 21 during a gala event in New York City. The awards recognize the world’s best employers and the human resources professionals, teams, achievements and HR-related products and suppliers who help to create and drive great places to work. A complete list of Stevie Award finalists by category is available at www.StevieAwards.com/HR. Download the event's program book here. Here are the organizations that have already purchased their tickets for the event. 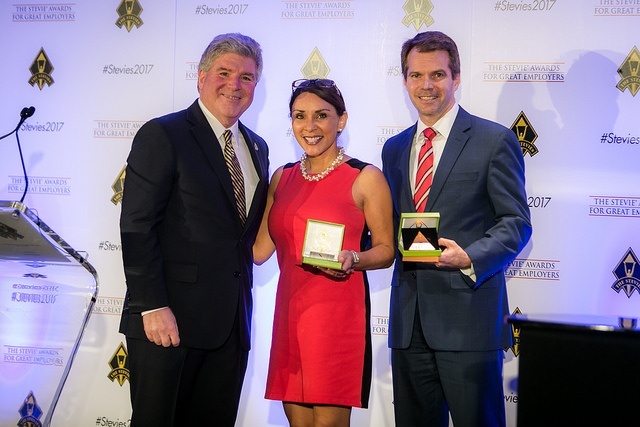 Winners in the 2017 Stevie® Awards for Great Employers, an international competition, were announced on Friday, September 22 during a gala event in New York City. The awards recognize the world’s best employers and the human resources professionals, teams, achievements and HR-related products and suppliers who help to create and drive great places to work. A complete list of Gold, Silver and Bronze Stevie Award winners by category is available at www.StevieAwards.com/HR. A diverse group of organizations and individuals around the world are among those recognized. The leader among Stevie winners is Migros Tic. A.S. of Istanbul, Turkey. The market leader in the Turkish retail sector was awarded five Gold Stevie Awards, five Silver Stevies and four Bronze Stevies in a variety of categories. Migros also earned the Grand Stevie Award trophy as the most honored organization in the 2017 competition. Other leading winners of Gold, Silver and Bronze Stevies include the Istanbul (Turkey) Gas Distribution Company, with two Gold, one Silver and nine Bronze wins, and ej4, a leading video e-learning producer based in Missouri, USA with three Gold, one Silver and three Bronze Stevies. 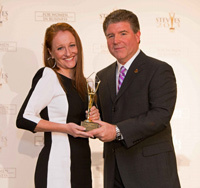 Samsung Electronics’ operations in Turkey won three Gold Stevie Awards. Winners of two Gold Stevies each include BenefitMall (USA), Creative Lodging Solutions (USA), Elements Global Services (USA), Haier Group (China), KIND Snacks (USA), McAfee (USA), and UST Global (USA). KIND Snacks’ Gold Stevie-winning nomination for Employer of the Year in the Food & Beverage industries was also awarded the Grand Stevie Award trophy as the highest-scoring nomination in the competition. More than 500 nominations from organizations around the world were evaluated in this year’s competition. Winners were determined by the average scores of more than 50 professionals worldwide, acting as judges. Stevie Award winners in the 35 Employer of the Year categories were determined by a unique blending of the ratings of professionals and the votes of the general public. Entries for the 2018 Stevie Awards for Great Employers will open in March. The entry kit will be available then at www.StevieAwards.com/HR. Other Stevie Awards programs such as The American Business Awards and The International Business Awards offer human resources categories, but The Stevie Awards recognized the demand for specialized HR awards categories. Today we will highlight the HR Achievement categories in the 2017 Stevie Awards for Great Employers. The HR Achievement categories recognize specific achievements - individual, team, or organizational - since the beginning of 2016. Recognizing notable single achievements, or a series of achievements, related to benefits design and/or administration since the beginning of 2016. Recognizing notable single achievements, or a series of achievements, related to compensation program design and/or administration since the beginning of 2016. Recognizing notable single achievements, or a series of achievements, related to workplace or workforce diversity and/or inclusion since the beginning of 2016. Recognizing notable single achievements, or a series of achievements, related to employee engagement or motivation since the beginning of 2016. Recognizing notable single achievements, or a series of achievements, related to employee relations since the beginning of 2016. Recognizing notable single achievements, or a series of achievements, related to the design, development, deployment, and/or administration of HR-related systems or technologies since the beginning of 2016. Recognizing notable single achievements, or a series of achievements, related to the administration of an organization's total HR organization since the beginning of 2016. Recognizing notable single achievements, or a series of achievements, related to internal communications programs or campaigns since the beginning of 2016. Recognizing notable single achievements, or a series of achievements, related to the onboarding, assimilation, and training of new employees since the beginning of 2016. Recognizing notable single achievements, or a series of achievements, related to an organization's new-employee or executive recruitment efforts since the beginning of 2016. Recognizing notable single achievements, or a series of achievements, related to workforce learning or training since the beginning of 2016. Recognizing notable single achievements, or a series of achievements, related to an organization's efforts to promote and protect workforce health and wellbeing since the beginning of 2016. Recognizing notable single achievements, or a series of achievements, related to an organization's programs to promote workforce compliance and workplace safety since the beginning of 2016. After consulting to and working for several industries in multiple countries, Chandra Clements recognized an escalating need to increase levels of operational excellence, innovation, equity, and empowerment for the benefit of organizations, individuals, and communities alike. Chandra founded One Legacy Pty Ltd in 2013 as a result. One Legacy offers customized solutions to address leadership, commercial and engagement issues across any industry or business. The business teaches leaders and team members how to leverage the power of their thinking and mindset to achieve the goals they desire. Chandra left her role as CEO of global powerhouse Sentis to pursue her passion of changing people's lives through the application of neuroscience. She founded One Legacy so that, among other things, she could mentor and support various women, young girls, and charitable organisations towards achieving their goals. Chandra has designed and written countless neuroscience and leadership programs targeting women's empowerment, entrepreneurialism, innovation in the workplace, confidence building, downsizing, redundancies and mergers, effective psychosocial leadership for managers and—her recent flagship— You First, a program targeting business culture and effective followership in the aviation industry. Chandra was the Guest Speaker for the Global Mining Conference in October 2013, alongside some of the top mining CEO's in Australia. She was the Guest Speaker at the 2013 Women's Global Empowerment Conference in Bangkok. She was MC and Key Note Speaker for the Annual OHS Leaders’ Summit in Australia and will be the key note speaker for the Newcastle University’s largest business and commerce fundraiser in October 2015. As someone whose work frequently takes her to other Asia-Pacific countries, we asked Chandra for her view on the Asia-Pacific Stevie Awards. In addition to her other achievements, Chandra is a 2014 Inductee in to the Australian Businesswoman’s Hall of Fame, and was the 2012 Telstra Young Business Woman for Australia. She has won nine Stevie awards across four years. After completing her business studies in 2001, Chandra Clements rapidly climbed the ranks of the corporate world to lead the global psychology-based workplace safety consultancy firm, Sentis. In 2013, she decided to turn entrepreneur and established One Legacy, which consults to companies on operational growth measures, ethical business, human capital improvement, innovation, and sustainable business modeling. Chandra built her professional career in organizational development and management roles at Rio Tinto, Fluor, Campbell Brothers, and Reward Distribution. In 2009 at Reward Distribution, she led a business of 380 employees to achieve a Lost Time Injury rate of zero, down from 19 two years earlier, whilst managing 26 sites, 2,800 suppliers and 75,000 product lines across Australia and New Zealand. As CEO of Sentis, Chandra delivered a 33% growth in revenue and a 230% growth in earnings before tax. She took the business from broke to bestseller in two short years. In addition to winning the Gold Stevie Award for Best Female Executive (Asia, Australia & New Zealand) in The Stevie Awards for Women in Business two years running, Chandra was named the 2012 marie claire National Young Business Woman of the Year Award and also holds an Australia Day Young. One Legacy is a successful coaching, keynote speaking and consultancy business dedicated to equity, empowerment and ethics. It was founded to change the world, one mindset at a time! The business fosters sustainable change through an understanding of the "Total Human Workplace" and what people need in order to succeed. Randstad recently published a survey showing how important a factor it is for a company to have women in positions of leadership when it comes to their prospective employees. We asked Randstad for more information from their survey. Equal pay, more visible female leadership, and more family-friendly work policies are among the most beneficial ways in which companies can help women advance, according to male and female respondents to the latest Randstad US Employee Engagement Index study. More than three-quarters (76%) of the women surveyed felt whether a company “has women in positions of leadership” is important when considering taking a position with a new company. Not surprisingly, equal pay was cited most often among women (49%) and men (37%). Having more women in leadership positions was the second most cited (named by 34% of women and 31% of men). More family-friendly work policies was the third most cited overall, selected by 31% of women and 26% of men. The fourth way was more leadership development programs for women, named almost equally by women and men (25% and 24%, respectively). Men and women differed significantly on their opinions on number five on the list, with 28% of women and just 20% of men noting that greater flexibility in terms of scheduling/telecommuting would help in the advancement of women. Women are less likely to be considering a job change. In the next 6 months, according to Randstad’s Q3 2013 Engagement Study, 42% of men compared to 34% of women are likely to seek out a job in a different company; and 48% of men compared to 40% of women are likely to give a lot of consideration to a job offer. Women are Optimistic about Opportunities for Growth with Their Employers. Only 46%of women expect to have to switch employers to grow their careers, compared to 56% of men. As one of the world’s largest staffing organizations and the third largest in the United States, Randstad US is committed to elevating the conversation around women and work. The company regularly creates and curates content on its Women Powering Business blog and convenes live conversations about women in leadership through its Women Powering Business initiative. Randstad Technologies is also partnering with CIO’s Executive Council to host events focused on women in technology careers in Boston, New York, Washington, DC, Chicago and Dallas. Randstad US recently launched an Inspiring Women in Our Lives contest on Facebook, focused on recognizing the women who are prevailing challenges, overcoming obstacles, and breaking barriers at home, in the office and in their communities. The Randstad Engagement Index is comprised of findings from quarterly waves of research targeting employees and annual surveys of employers. The eighth wave of findings was conducted online between September 19 and October 4, 2013 from a national sample of 2,033 adults aged 18 and older who are currently employed full time from Ipsos’ U.S. online panel. Weighting was used to balance demographics and ensure samples reflect the U.S. population of working adults. Employees and employers were surveyed to compare notable differences in perceptions and attitudes. Multiple waves of research allow for trending and to track changes in perceptions and attitudes over time. Research into employee attitudes and perceptions will be conducted quarterly. Research into employer attitudes and perceptions will be conducted on an annual basis. 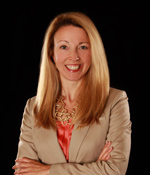 Lisa Crawford joined Randstad in 2010 as the Senior Vice President of Human Resources, Professionals. In this role, Lisa provides HR support with a focus on areas of high impact, such as employee relations, organizational development, policy and procedures, and workforce planning. With fifteen years of experience in HR, Lisa is an accomplished HR leader with subject matter experience in managing rapid growth, acquisition, integration, and turnaround situations. Prior to joining Randstad, Lisa’s career as a marketing strategist for blue chip financial services and technology clients provided her with the unique insights to define and measure tangible HR business results for individuals, teams and the overall enterprise. Lisa is a graduate of Dartmouth College. Ipsos Public Affairs is a non-partisan, objective, survey-based research practice which conducts strategic research initiatives for a diverse number of American and international organizations, based on public opinion research. They are the international polling agency of record for Thomson Reuters, the world’s leading source of intelligent information for businesses and professionals. To learn more, visit: www.ipsos-pa.com. Randstad is a $22.0 billion global provider of HR services and the second largest staffing organization in the world. From temporary staffing to permanent placement to in-house, professionals, search & selection, and HR Solutions, Randstad holds top positions around the world and has approximately 29,300 corporate employees and around 4,500 branches and in-house locations in 39 countries. Founded in 1960 and headquartered in Diemen, the Netherlands, Randstad Holding nv is listed on the NYSE Euronext Amsterdam. Learn more at www.randstad.com and access Randstad’s panoramic US thought leadership knowledge center through its Workforce360 site that offers valuable insight into the latest economic indicators and HR trends shaping the world of work. Fazoli's Italian Restaurants of Lexington, Kentucky, USA, won the 2012 Gold Stevie® Award for Human Resources Department of the Year in the HR awards categories of The 2012 American Business Awards, the premier business awards competition in the U.S.A. (The entry deadline for the 2013 ABAs is March 27, request your entry kit here and it will be emailed to you right away.) Here we look at the human resources awards winner's progressive and innovative practices which helped lead to an annualized savings of $2,192,000. Fazoli’s is one of the largest quick-service Italian restaurant chains in the United States, and because catering is such a people-driven industry, its HR department plays a vital role in the company’s success. Its four Associates have a combined 51 years’ experience with the company, and 59 years of total HR experience. The department provides HR support to nearly 5,000 Associates in 127 company-owned and 93 franchised locations in 26 states. In 2011, Fazoli’s HR department, led by Vice President of HR Dave Craig, was instrumental in propelling the brand to its best sales and profit performance in over a decade. A 39% reduction in Associate turnover resulted in annualized savings of $2,192,000, while a relentless focus on “Right People, Right Places, Right Now!” contributed to an 18-month streak of same-store sales growth, despite challenging economic conditions. Implementation of PeopleAnswers®, an automated pre-employment application, assessment, and background check solution. Said Craig: “The PeopleAnswers (PA) program raises the bar on the quality of new Associates and provides our hiring managers with insight on whether to deploy new Associates in service or non-service positions. The hospitality industry is heavily dependent on the ability of front-line service workers—usually paid at or near minimum wage in a high stress, high turnover environment —to win and keep customers. Managers needed a reliable and predictive instrument to ensure top quality Associates are hired and deployed according to their unique talents and abilities.” According to Craig, the PA system also enhances the efficiency of hiring and selection processes, saving hiring managers an average of eight hours per month, per restaurant. Completion of a 3-year Associate Engagement study. According to Craig, this study revealed a direct correlation between engagement, sales, and profit. Every point of enhanced Associate engagement equals $12,539 incremental sales and $21,446 additional profit annually per location. These HR results were all part of the department’s 5-year plan, which was developed when Fazoli’s was acquired by Sun Capital Partners in 2006. The plan centered on adding enterprise value through enhanced customer service, and increased sales and profits via measurable enhancements to human capital. Craig is a graduate of Ohio University. He has also earned certifications as a Senior Professional, Human Resources and a Certified Fraud Examiner. 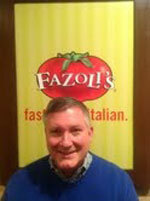 An American family favorite for more than 20 years, Fazoli’s is a leading, next generation QSR franchise opportunity. With a premium menu of freshly prepared Italian entrees, Submarinos sandwiches, and salads; a new service style featuring table service; and a contemporary new restaurant design, Fazoli’s is well positioned for growth. Already America’s largest Italian quick-service chain with more than 220 restaurants, Fazoli’s is expanding in select markets throughout the country. Founded in Lexington, Ky. in 1988, Fazoli’s was acquired by Sun Capital Partners in 2006. Entries in these categories generally require an essay or case study of up to 500 words about the nominee’s achievements since the beginning of July of two years prior (for the 2013 awards, this will be since July 1, 2011); links to any online work samples, news stories, videos, etc. that support your case; and a biography of up to 100 words of the nominee or the leader of the nominated department or team. 3. Download our 10 Tips for Winning HR Awards in the 2012-13 Stevie® Awards tipsheet. We love to answer your last minute questions. 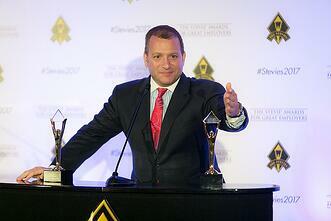 Contact us at help@stevieawards.com and we'll help direct you to categories that are right for your organization. Get instant updates; join us on Facebook, Twitter, and LinkedIn. The first early-bird entry deadline for 2013 American Business Awards, the premier business awards program in the U.S.A., is Friday, November 16. If you haven't already done so, you can request your entry kit here and you will receive it right away. To help you recognize your organization's achievements, we want to highlight our HR awards categories. Want more ways to showcase your organization's HR professionals? We have several awards categories that may be of interest including: app awards, live event awards, video awards, and website awards.